Everyone loves financial independence, to enjoy and live a comfortable lifestyle. There is no reason why these should stop after retirement. After all the years of hard work, money should not be the concern for you to decide how you would spend your retirement. A smart way to ensure a regular income stream post retirement is buying an Annuity plan. 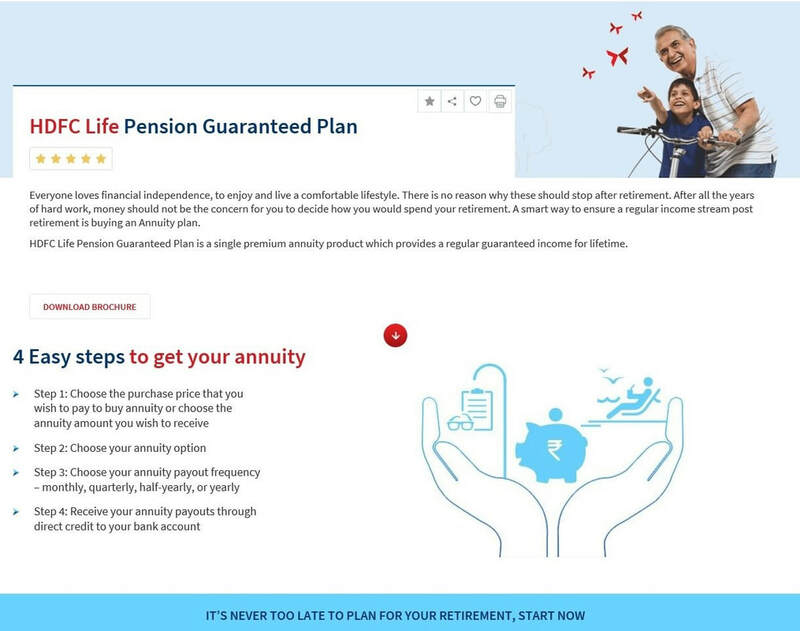 HDFC Life Pension Guaranteed Plan is a single premium annuity product which provides a regular guaranteed income for lifetime.